I usually collect santos and angels, but I saw this statue and could not stop thinking about it. A week later, my husband took me back to the specialty shop to get it for me. Fortunately there were a few. 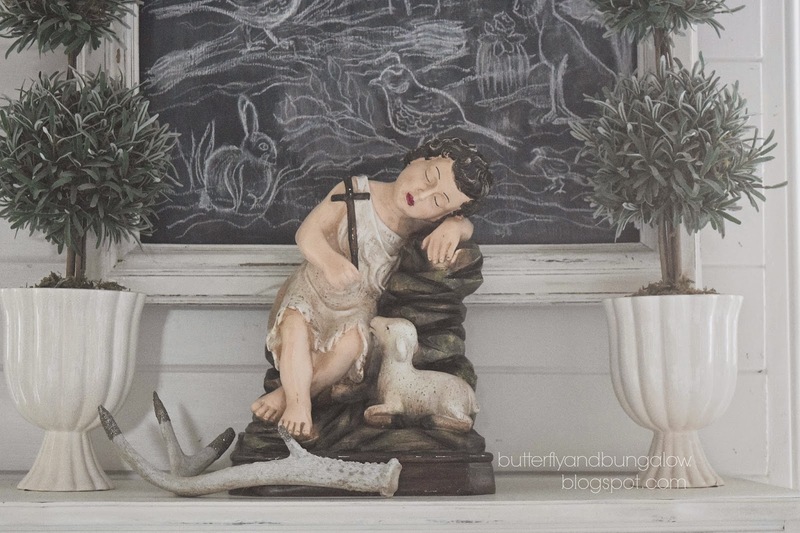 It has such a cherubic, peaceful expression, and it is a unique portrayal with a vintage vibe. For now the statue is on my sleeping porch. I really like the light distressing on it. 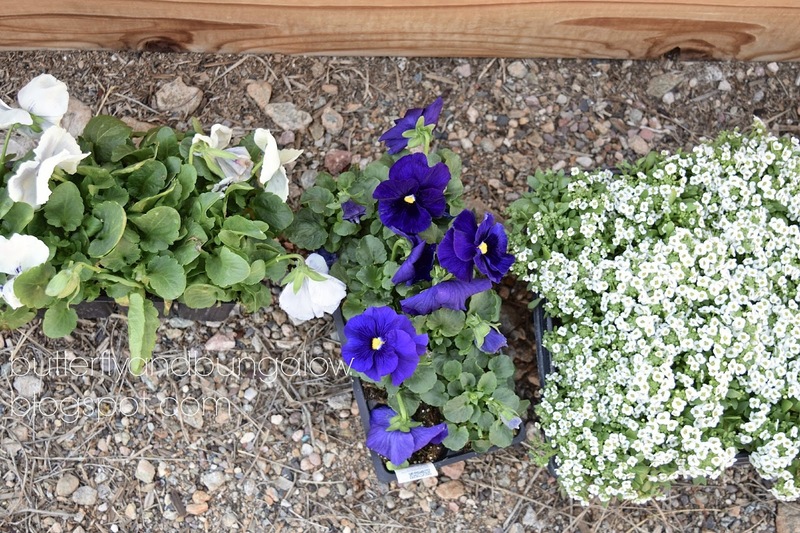 I also went to the garden shop to pick up some annuals to plant in the garden beds. I plant these in the beds to attract the bees and the butterflies. I will be starting my spring kitchen garden in two weeks. I grew some nice winter tomatoes, but not a lot this year. and most of the tomatoes dropped before turning red. 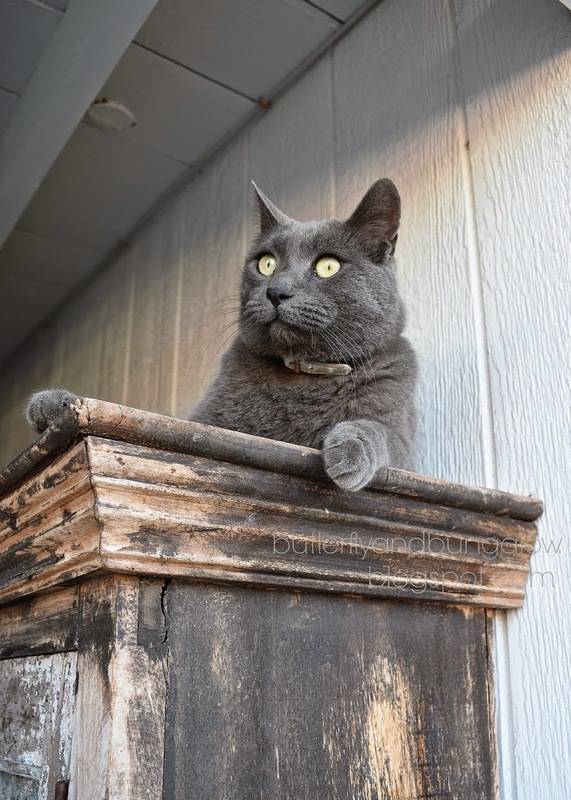 While I was outside, he took a break from playing with the cat on the roof to pose for some photos on top of this distressed armoire that I use for outdoor supplies. Inside, I have enjoyed looking at my first copy of this magazine. I found it at a vintage store that carries the magazine. 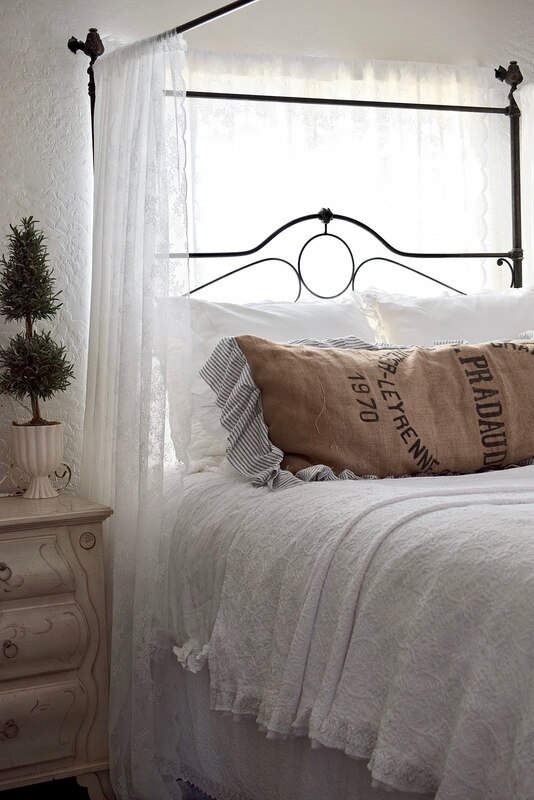 This issue has lovely photos, recipes, and articles on French and Nordic style. Needless to say, I've not finished picking up from the holiday, but I've made progress. We also went to dinner with some friends of ours that are artists. Afterwards, he had us try a painting technique that is just suppose to be free form. His daughter and my daughter had a lot of fun, but the paint is not dry yet. I hope you are enjoying a lovely weekend. I love this statue, I also love your santos dolls. Lots of my american blogger friends have them in their homes. I've spotted one on auction in the UK so I'm hopeful as shipping from the States and import duties make them pretty costly. All your statues are charming. Are they made of wood which is an attractive material to work in? The free form painting session with your daughter and her friend must have been fun. I thought the cat was stuffed when I first saw the photo! lol Sweet statue. Happy Sunday! Your new statue is lovely...and restful. JDL is my favorite magazine and I have piles of issues from 2010 to present. But the Jan. 2015 issue was one of my least favorites. So I hope you will purchase again. It really is more lovely than this issue reveals. I also keep a winter garden of mostly lettuces and herbs. I will be planting more strawberries today along with pruning roses. The slow days of January...oh how I love them. Good to know, Kerrie. I will. Love your statue and your cat! Su I love your statue, gives off a sweet aura. I also love all your Santos and how you have displayed them in your lovely home. Two weeks you can plant .... I'd love to feel the dirt in my hands again, planting precious flowers but that will have to wait another 2 months. Then I will plant pansies. Su what do you plant to invite butterflies? The photo of the gray cat is adorable. My Simon is a big gray kitty. 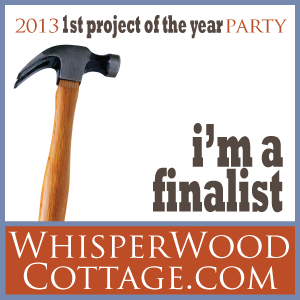 Hope you reveal your free style painting to us. What a sweet treasure, Su! I too had difficulty with blogger recently too, that's why I moved to WP (which is not without its own glitches ~ trust me!) A winter garden sounds lovely...our ground is covered with snow and ice right now. I can't wait to see your garden grow! The new angel exhumes peace. Love it. That is a very pretty statue, indeed. I can see why you couldn't stop thinking about it. I have yet to dismantle Christmas decor but am working on it. The kitty is purrrrfect! Lol I am a cat lover. WoW! I can't imagine picking up delicate garden blooms at this time of year. We have more than enough snow and cold temps for 2 months yet, but it will make springtime all the sweeter when it does arrive. love the statue and also the photo of your sweet cat! The statue is so beautiful! Gorgeous statue. You are right about its peaceful presence. I can't believe you can actually plant annuals now where you are. It is freezing with ice everywhere here. Spring I hate to say is going to be about three months away. However, I am already planning my summer garden here. A girl can dream. Thank you, Victoria. It will be warm and probably in the 80s by the end of February. Summers are rough, but the rest of the year we have beautiful weather. Love your new statue, she is beautiful. I am also getting anxious to plant a few vegetable, especially some tomatoes. Need to prep my little garden area and put some chicken manure in there. My roses are beautiful. Cut two bouquets for the house and they smell lovely. Enjoy your beautiful new lady. How wonderful! The warm weather does sneak up on us fast. I was thinking that I really should put my strawberries in too. Love the new statue just beautiful. 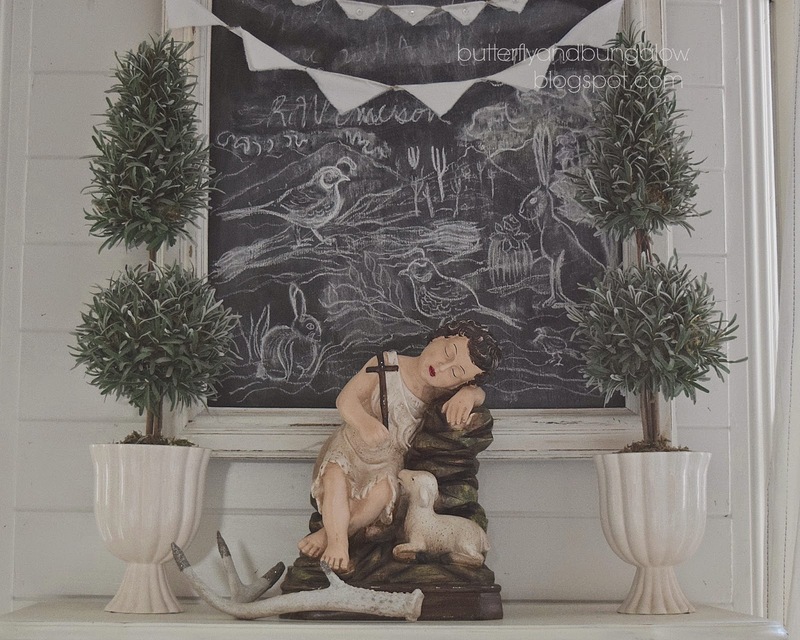 Very serene and looks great on your sleeping porch. The statue is beautiful and I love that picture of your cat. 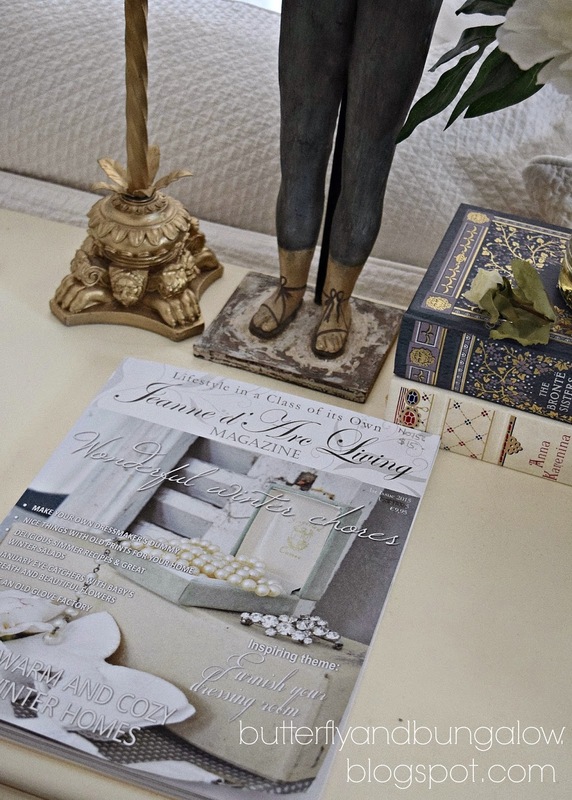 I love having a peek at "Jeanne d'Arc Living" in stores, but I never buy it because here it's as expensive as a book! Oh wow she is so pretty! And I love the drawing on the chalkboard behind her, very creative! Oh my goodness, planting a Spring garden already, you lucky lady! It's so cold where I am, we won't be planting until May. I'm an avid gardener and am so jealous, but very pleased for you! I love the photo of the cat. So pretty. :-) Love the eyes. I also love your find. I have a similar piece, it was from my grandma. Thank you for your visit and for leaving a comment. I love your new statue ! I collect cherubs and sheep/lambs so I wouldn't have let it stay in the shop either. I love it that you plant to attract bees and butterflies. And that is a lovely statue. So sweet. Thank you, I'm always trying to figure out what the bees, butterflies, and hummingbirds like. xoox Have a wonderful Sunday. 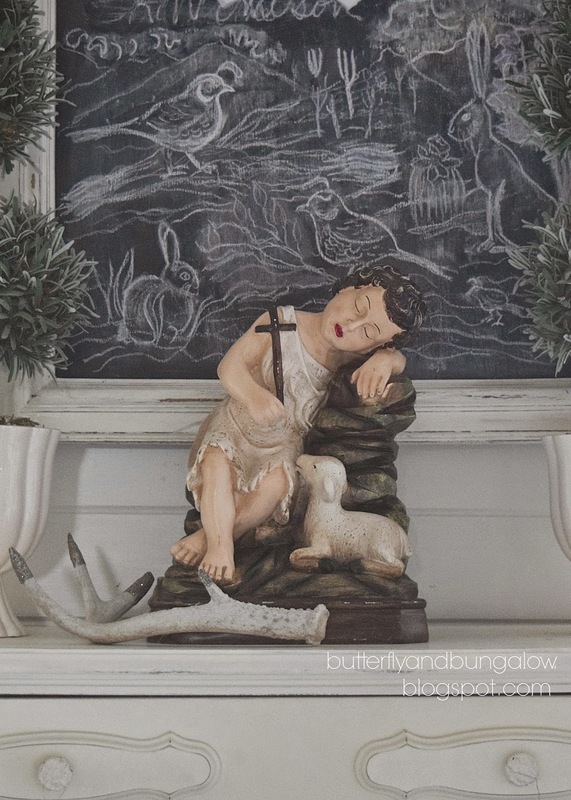 Such a sweet statue and I too love the Jeanne D'Ark Living magazine. Hope you are feeling inspired. Thank you, Cindy. It came from the French Bee. I had never been there before. Oh what a GORGEOUS KITTY!! what is his name? Is he Russian Blue? Silver sure looks like one, but we don't think so. He was a stray that we were given from her piano teacher. Silver has a lovely personality, very affectionate, and he is fixed, but he has always had wanderlust. We also have an adopted indoor cat, because she came from a sanctuary; someone declawed her, so she can never go out. We also have two more adopted outdoor strays. So that makes 4 kitties and a toy poodle! Hugs Thank you for noticing how beautiful he is. That statue is so sweet. I searched for one like that several years ago. I saw some vintage ones on eBay and they were too high for me. It's darling.